Meizu is a company that was founded in 2003, and it is completing 15 years in 2018. To celebrate this, the company is launching a trio of smartphones under the Meizu 15 lineup that includes Meizu 15, 15 Lite and 15 Plus. It is now official that Meizu will launch all the three phones on April 22 at an event in Wuzhen, China. 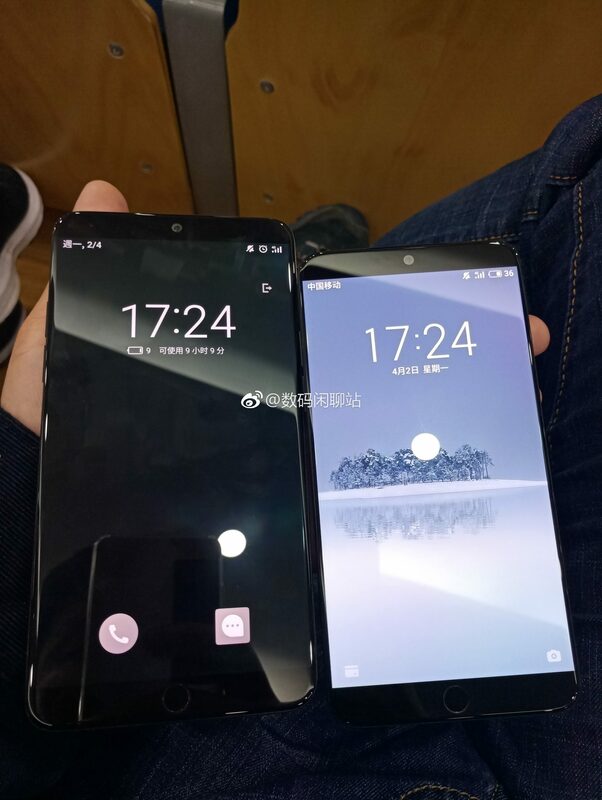 There have been several leaks revealing the design as well as the specifications of all the three smartphones and there is no doubt that among all the three, Meizu 15 Plus is a phone that we all will be looking forward to. It is going to be a flagship device with the bezel-less design. 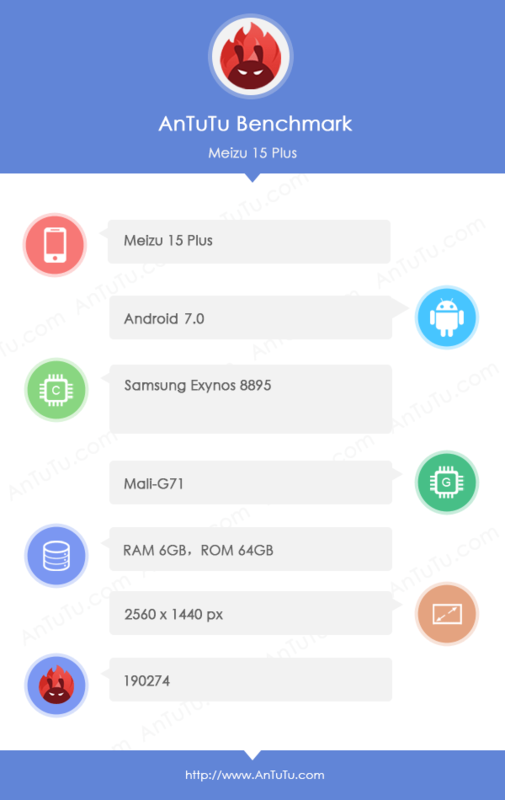 Today, the Meizu 15 Plus showed up on the AnTuTu benchmark that revealed some major specifications of the phone. The phone has a 5.95-inch AMOLED Quad-HD display with 2560×1440 resolution. This means that there is no 18:9 aspect ratio and the phone has the old 16:9 aspect ratio. Previous images of the phone showed a home button on the front that we have seen on quite a lot of Meizu phones. The most surprising thing in the AnTuTu listing is the Exynos 8895 processor that we saw last year in the Galaxy S8, S8+ and the Note 8. It is worth mentioning that there have been a lot of Meizu phones in the past with the Exynos chipset. Under the hood, the phone has 6GB RAM along with 64GB ROM, and it runs Android Nougat out of the box which is quite weird. Finally, the Meizu 15 Plus scores 19K+ on AnTuTu which is acceptable for a phone with Exynos 8895. The launch is happening in a few days so stay tuned for more details.